An accident is a grave situation to be in irrespective of it being minor or major. It is estimated that in India, 55 road accidents occur every 60 minutes. We live in a country with such high frequency of accidents. Thus, it is necessary to have the basic knowledge of what exactly is to be done and what is to be avoided when involved in a road accident. Even if the accident is not serious, never (and we cannot emphasize enough, NEVER) flee from an accident scene you are involved in. The worst is, you are abandoning casualties which can be saved. Also, if your run, you are bound to be charged with Hit and Run. This could result in imprisonment. Yes, this is a serious situation. However, you can help others only if you try to stay calm and think straight. Don’t Remove Stabbed Object: Removing it will only worsen the bleeding. The object is the only thing obstructing the blood flow. It is best to leave this job to a medical professional. Don’t Try to Move an Injured Person’s Neck: In case of a serious accident, you may detect a spinal injury by looking at the neck of a person. If it is at an unnatural angle, do not try to move that person. Don’t Feed Food or Liquids To The Injured: As it would be hard to determine the extent of injuries a person has suffered, it is best not to feed a person on the accident spot. They could choke or would be unable to chew food due to injuries to the jaw. If the accident was evidently not your fault, the third party may offer low cost settlements. This does not serve the purpose of car insurance. Never accept verbal-on-the-spot settlements. As soon as you feel okay, try to check yourself for more injuries. Some injuries would not necessarily bleed, try to move your arms and legs to find injured spots. If you notice a bleeding wound, try to obstruct the blood flow by tying a cloth an inch above the open wound. Pressing a piece of cloth directly on top of the wound will also help. Use your palm instead of fingers to apply pressure. The first should be for medical help. The second call is to the police, to report the accident, and the third is to the insurance helpline. Once you are sure that no one needs immediate medical attention, start taking pictures of the scene. These will be helpful for later, like in a police case and insurance claim. Accidents are not a pretty sight, but once you are involved in one, the aim should be to provide help. Who’s fault was it? This will matter later. 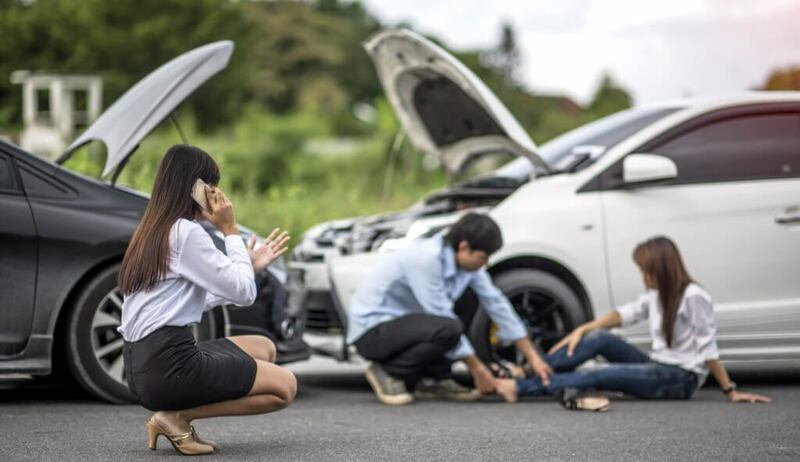 The insurance company will do its best to provide the cost of treating injuries and damages caused to other people affected by the accident i.e. third-party. A comprehensive insurance policy will take care of your expenses. Your job is to drive safely and avoid accidents. Generally, Third-party insurance policy is often bundled with a Personal Accident (PA) cover. PA cover for owner driver is mandatory and is available at a nominal fee. So, the insurance company would pay a fixed amount as compensation if you get injured in an accident.